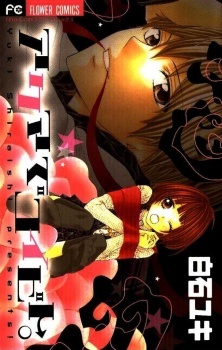 This volume consists of 3 short stories - the first is 3 chapters and about a boy who "bullies" the girl he likes. The other two stories are one chapters (one about a direction-challenged housekeeper who cleans the wrong house) and the other about a serious sophomore and an energetic senior. The first story is ok - nothing special, and quite typical, but the art is cute. I found the two short stories to be *very* cute and I enjoyed reading those. Overall a quick read, and you don't have to invest much - time or emotion.